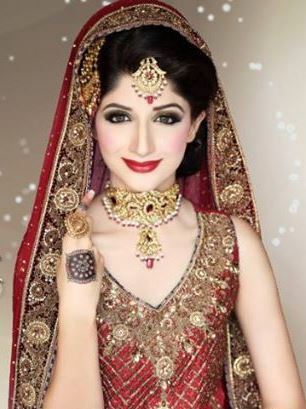 Done with the shopping of clothing, jewelry and shoes… Isn’t there anything you still have to think about yet? 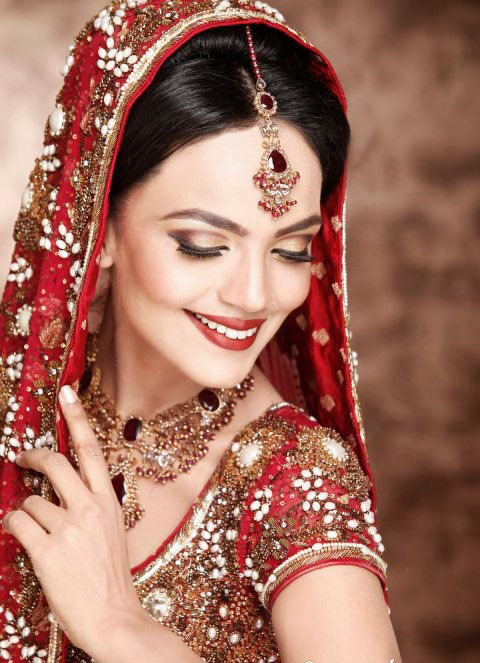 I think I don’t actually need to make you remember… Every bride knows the part of a perfect makeover for her big day and can bear no compromise on it. 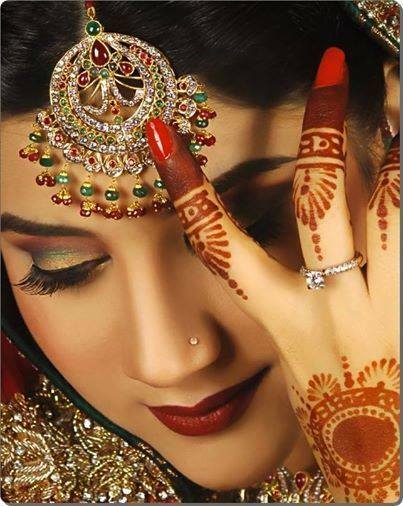 Some of the women among us are fond of applying makeup by their own selves and while other prefer the beauty salons. 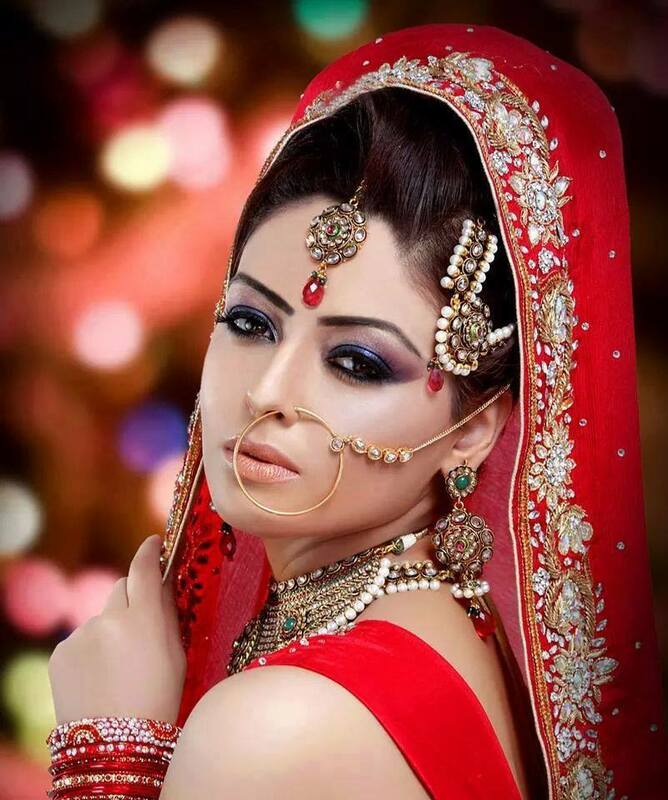 It’s totally your choice to decide how you are going to groom yourself in a way that your makeover justifies your dressing on which you definitely have spent a lot but for my part I’m gladly here to serve you with a bag full of basic guidance. 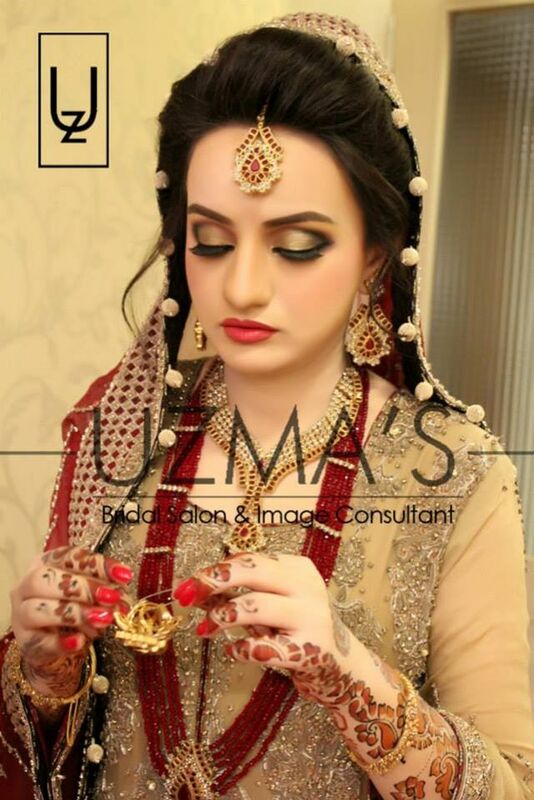 Two possibilities are certain to make you troll over the web pages on bridal makeover, either you’re going to get ready by yourself or some family member; Or you’re suffering from the fear about how your beautician is going to do it. Perhaps, I’m right… am I? If yes then your fears and worries are surely over! 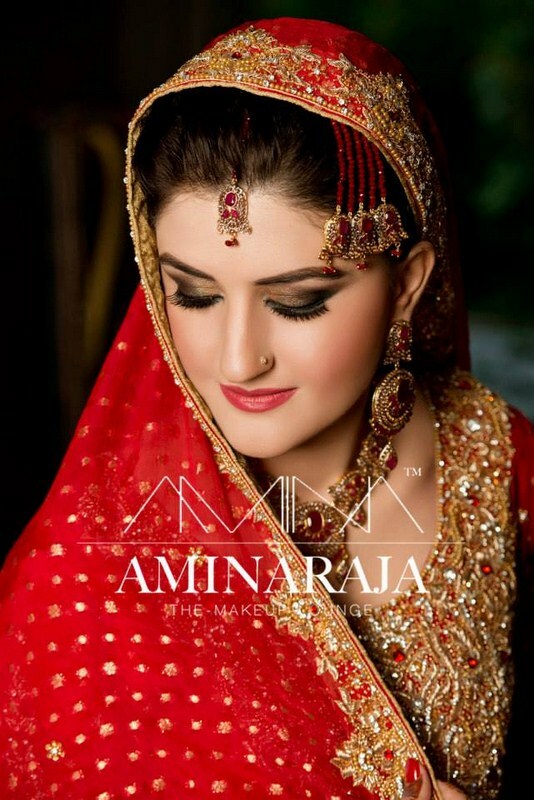 Bridal makeup is not just concerned with one day it’s a whole package from pre-makeover preparations to walima touch up. 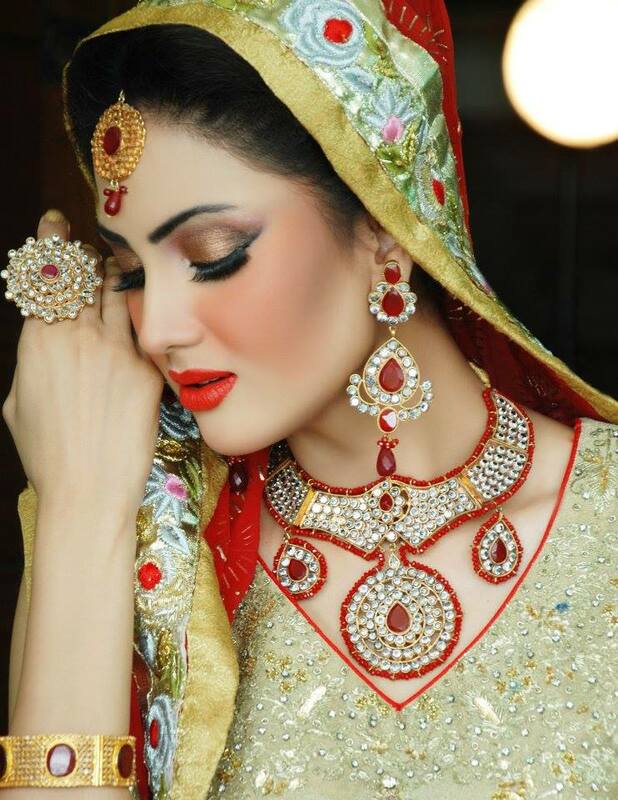 Mehndi , barat and walima are the three main days of a wedding. 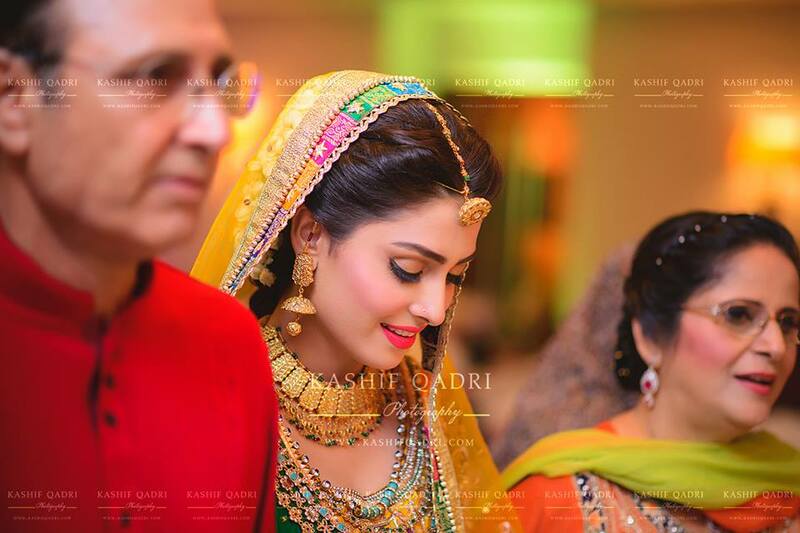 On mehndi light or no touch up look is preferred; for barat heavy makeup settling properly with the brides dress usually in red and golden shades is used; and for reception Smokey eyes with pastel colors and light shaded lip color is the best. 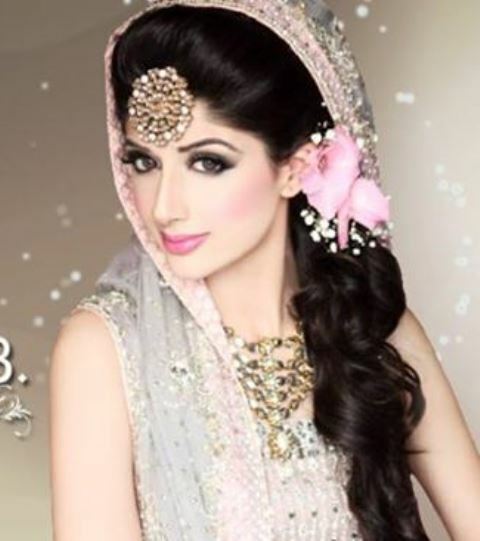 Every women wants to get ready in a perfect adorable way leaving no detailing skipped. 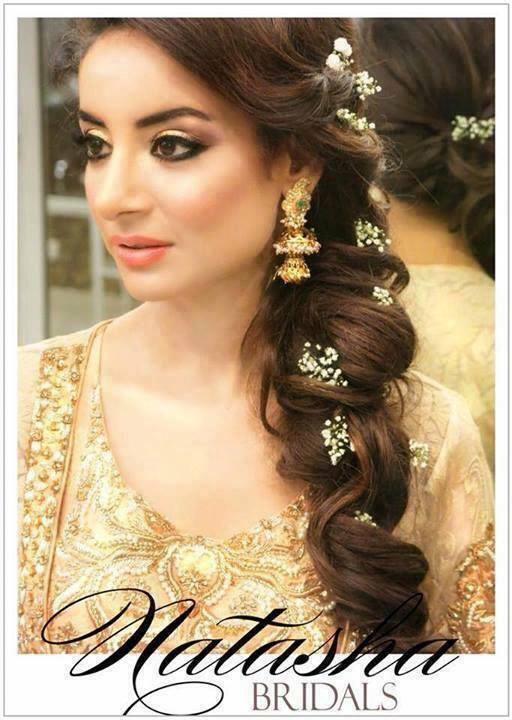 So lets discuss some more basic considerations! 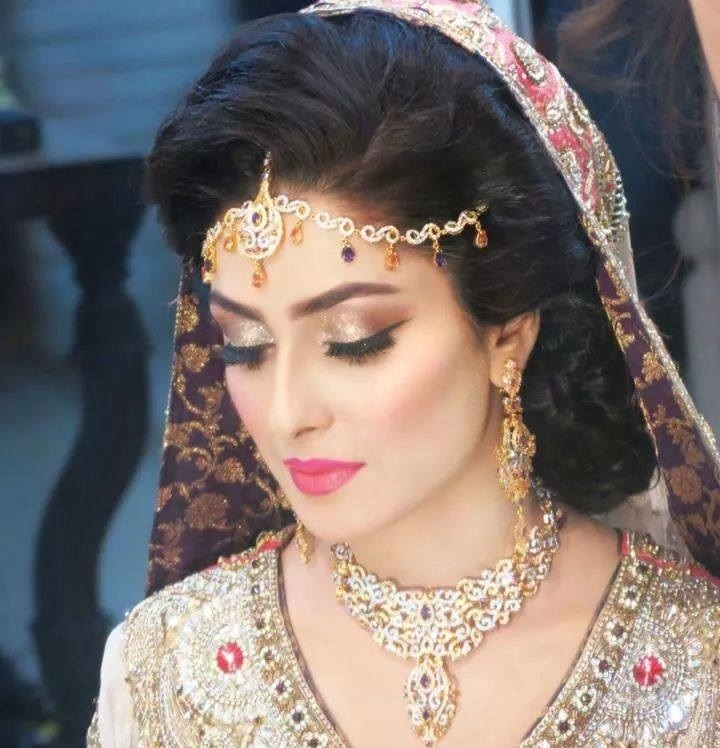 while applying foundation or base make sure it is closely matched with your skin and apply it over your face, neck and arms because if you only whiten the face it wont look real and good. 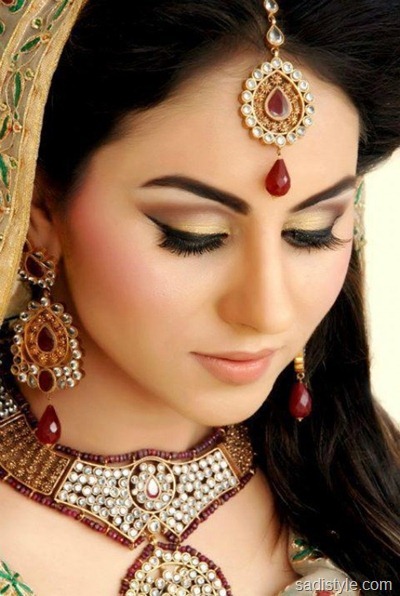 while shading or blushing you or the beautician must consider the face shape make it blush in a way that if you are healthy/wide faced, it looks a bit thin. 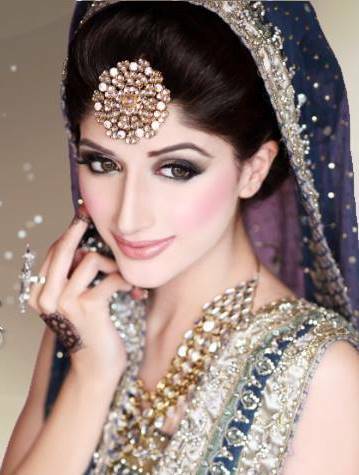 make you cheeks look bit heavy if your face is thin, it would simply boost up your shyness and smile. 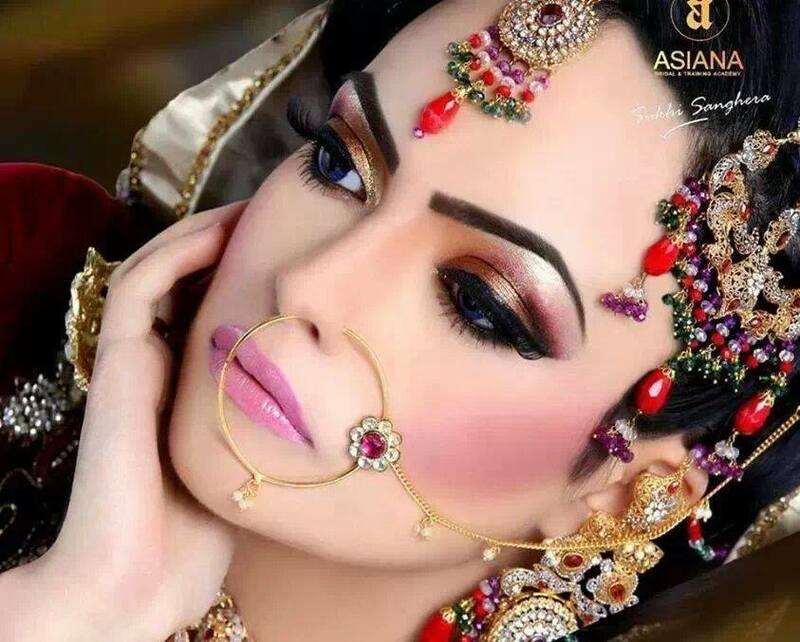 same way, consider your nose shape. 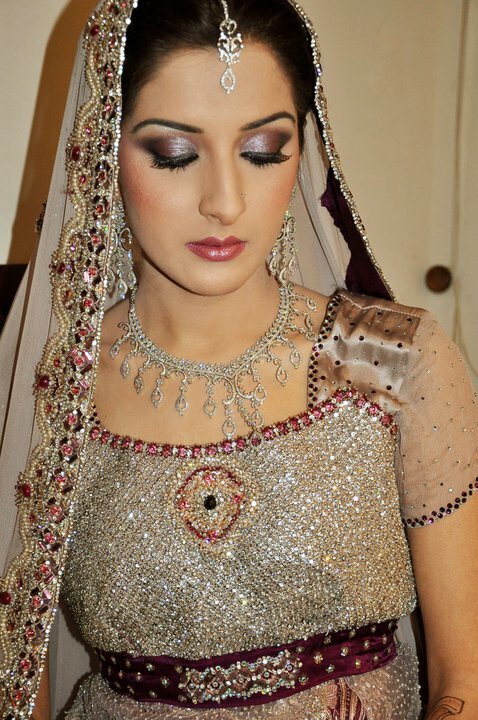 use golden black , skin and maroon e.t.c shades for main day and pastel tints for reception with smokey effects. 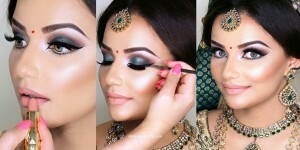 if you have bigger eyes draw thin lines by eyeliner and if they are smaller use thick lined. don’t over pluck your brows. 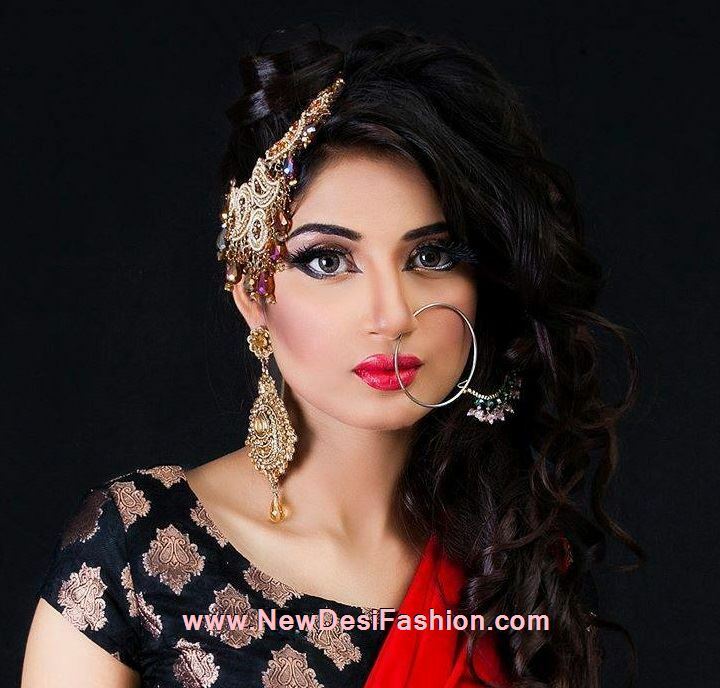 keep the colors of dresses highlighted in the eye shades with different shades pink and red on lips. 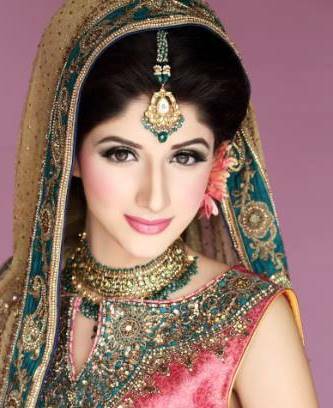 I hope that much guidance would help you out to keep a check on how your makeup artist is going or how you have to do things for your most special day.well, I know why you are still here… tips aren’t enough until we visualize some ideas! 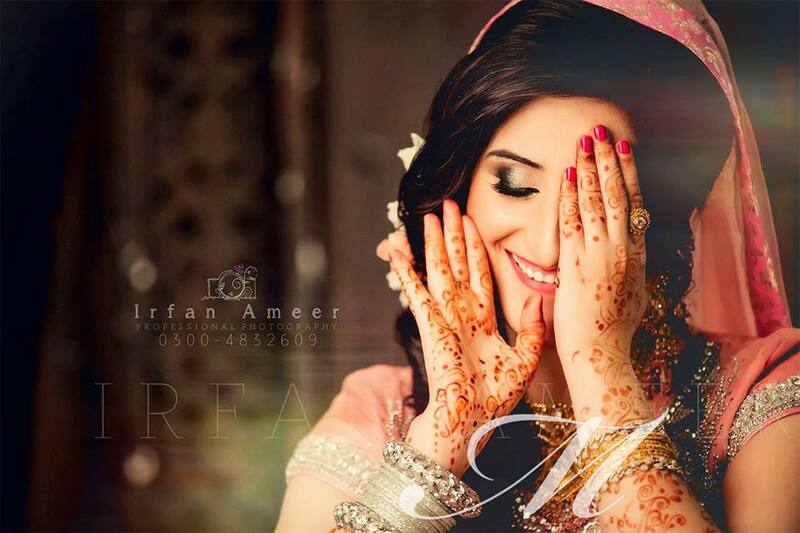 so here, gathered for you some Latest Best Pakistani Bridal Makeup Ideas are listed. 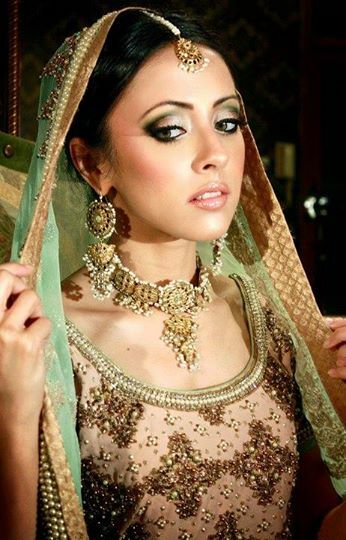 Get the needed help and decide your look for a personality stand out! have fun! 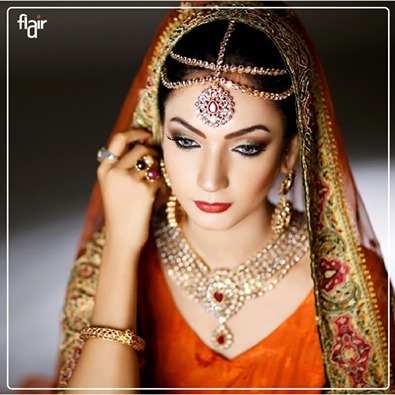 Every girl wishes that she looks perfect on her wedding day, for this purpose after selecting the appropriate wedding dress you need a suitable makeup! 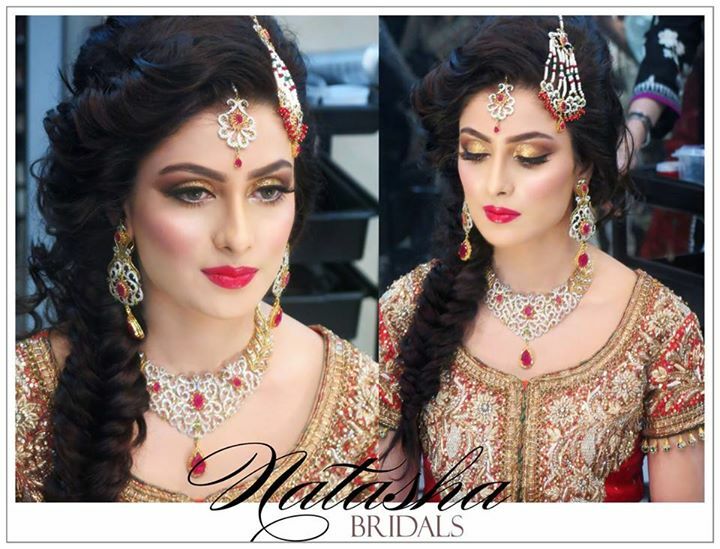 Mostly people book appointments before many days for complete bridal package at salons. 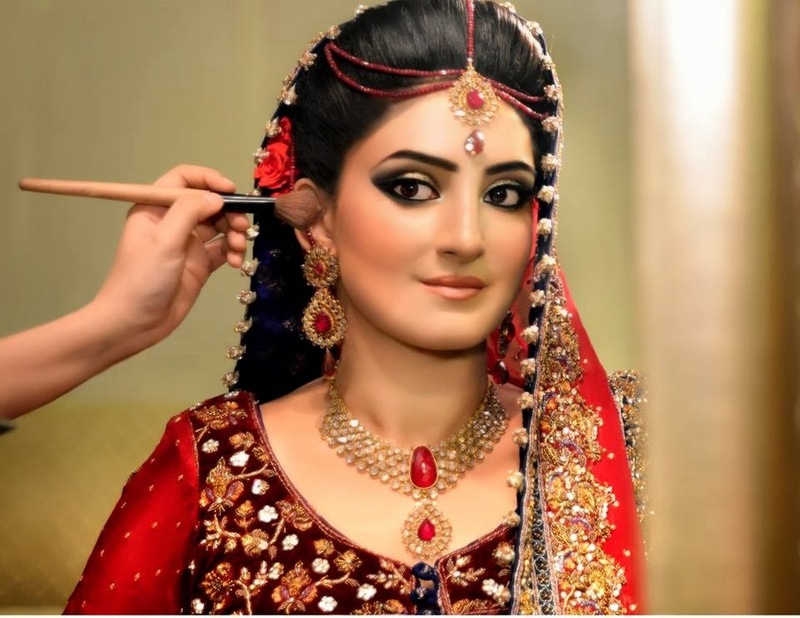 Here i am also discussing some of the Best and most popular Beauty Salons in Pakistan which you can select and book for your wedding day o look perfect. 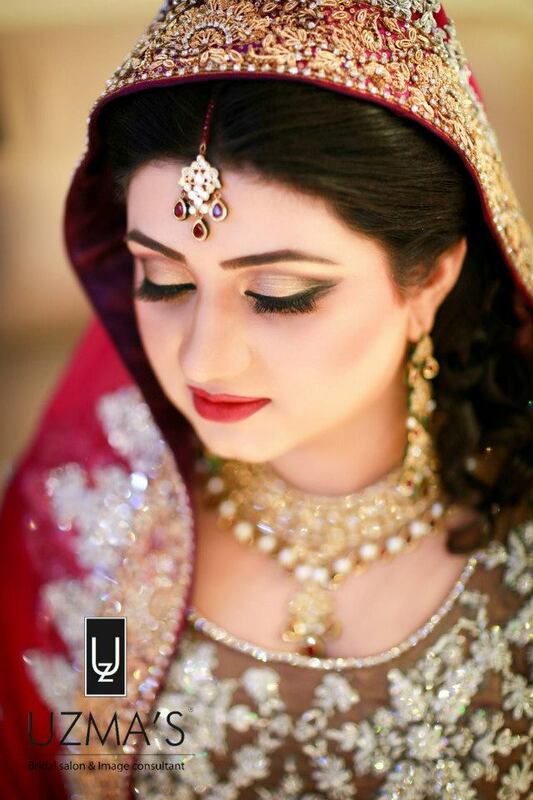 They deals with bridal hair, mehndi, facials, make-up and many more. 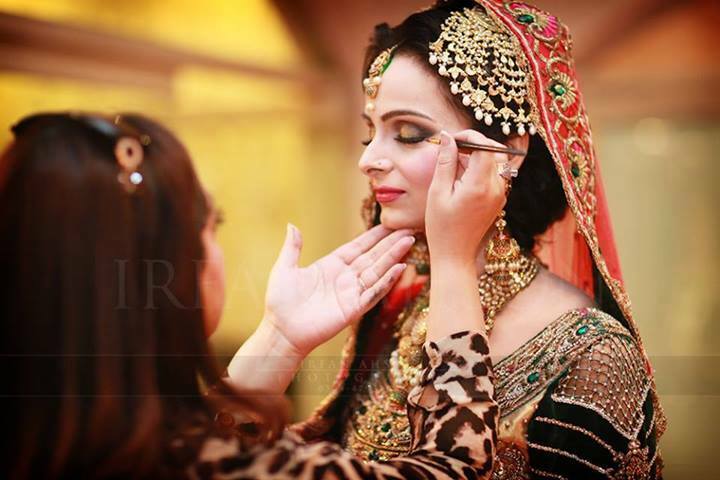 Here below posted is the List of Major & Famous Bridal Makeup Beauty Salons in Pakistan’s Major cities like Islamabad, Karachi, Lahore, Faisalabad, Multan etc.